Welcome to Advanced Wheel Alignments. We specialise in wheel alignment. For more information and for queries, please give us a call today or just visit us. 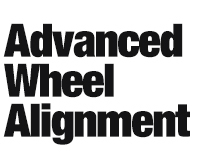 At Advanced Wheel Alignments, we can assist you with the safety of your car. We have a professional team onsite who are qualified and equipped to tend to your wheels. We have state of the art technologies and equipment to assist with our job. Call us today to make an inquiry!